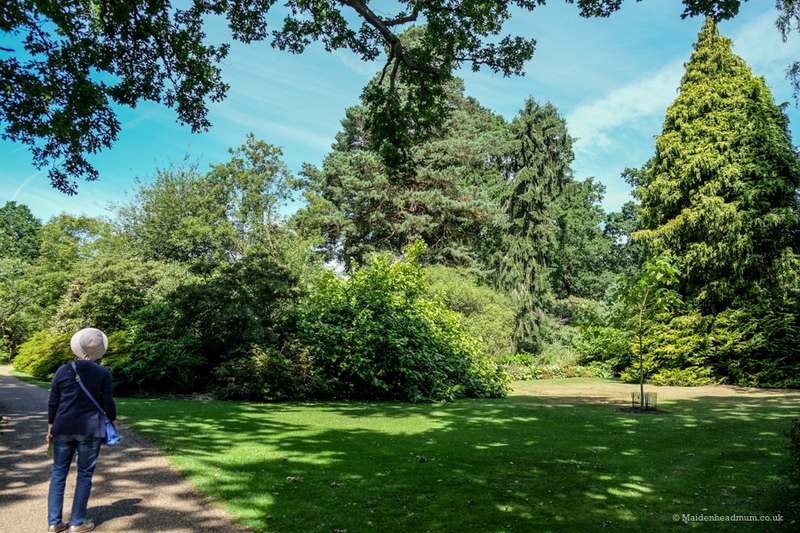 If you’ve not heard of them before, the Savill Gardens are part of Windsor Great Park which is about a 30-minute drive from central Maidenhead. 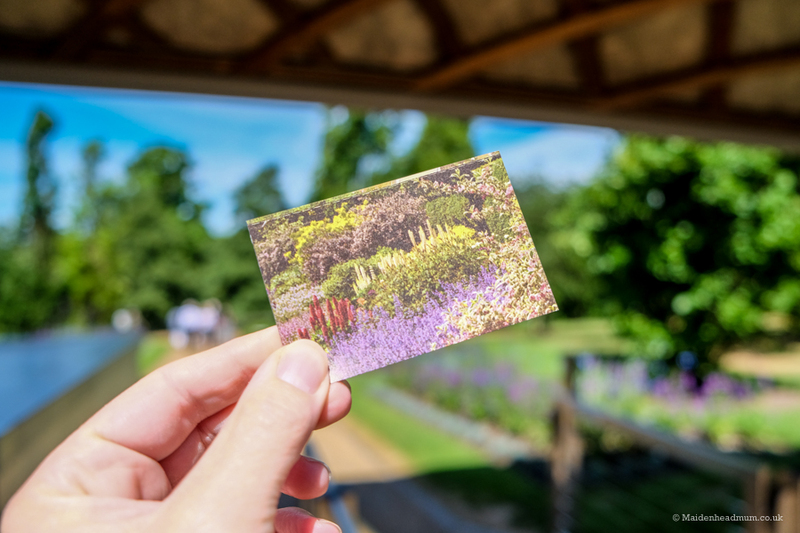 Created in the 1930s, the Savill Gardens have a wide range of rare plants from all over the world in a mix of arranged gardens and woodland. 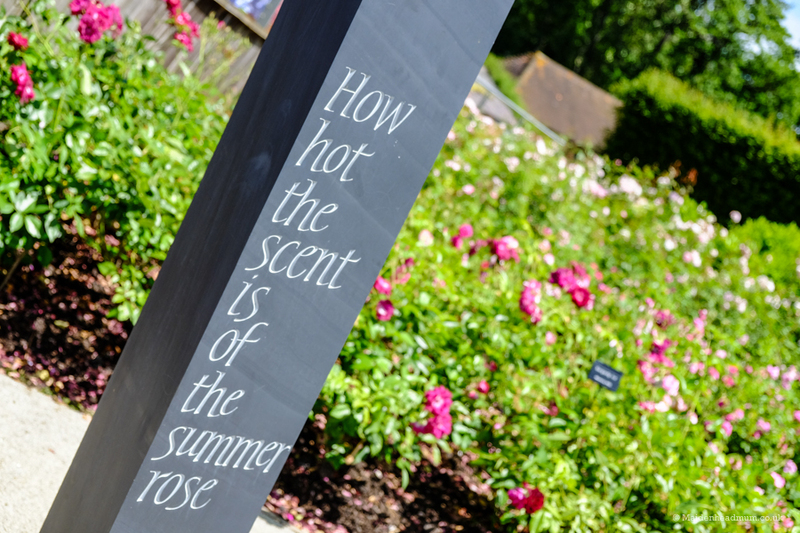 In June, the gardens were a riot of colour, and we were also able to check out ‘The Power of Flowers’, which is a seasonal exhibition highlighting the power of flowers and plants. 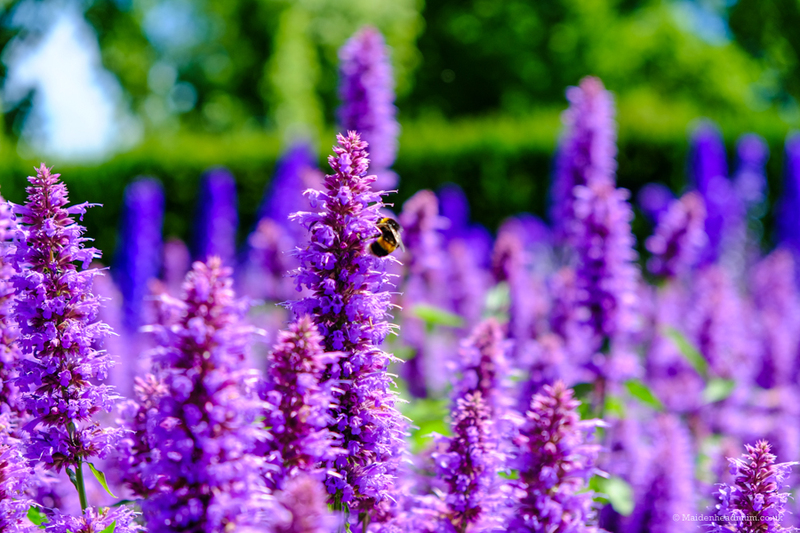 There are different things on throughout the year which you can find out more about on the Seasonal Highlights section of their website. 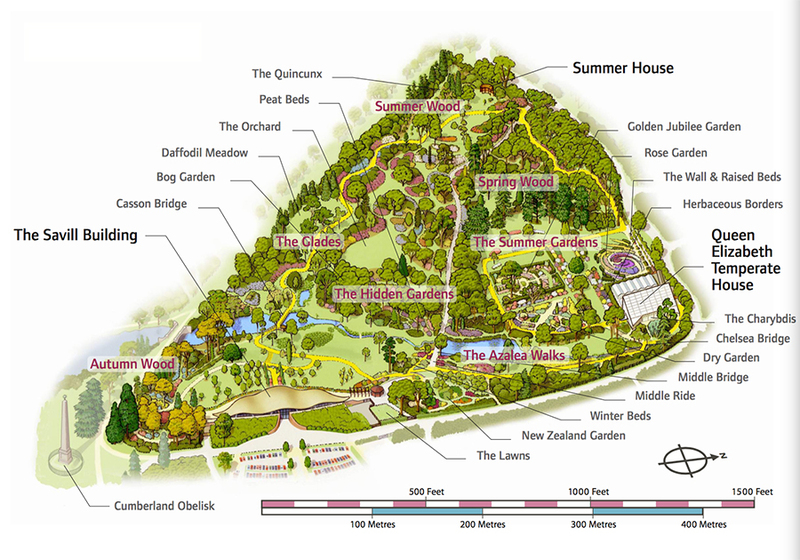 A map showing the different areas of The Savill Gardens. We walked around most of it in two hours. The visitor centre is also worth checking out if you’re an architecture geek. It’s a Grade 1 listed building which has a ‘shell roof’ made out of larch and oak, truly an iconic design both inside and out. The visitor centre nestles into the landscape. 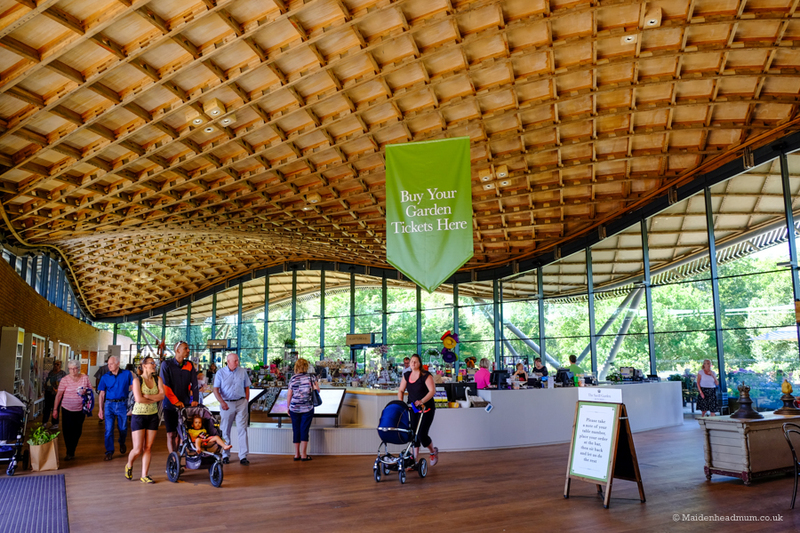 The timber shell roof means it’s an incredibly open space inside. There were little ducklings when we went. The paths are flat and easy to walk along, although I reccomend flat shoes as you’ll cover a lot of ground. 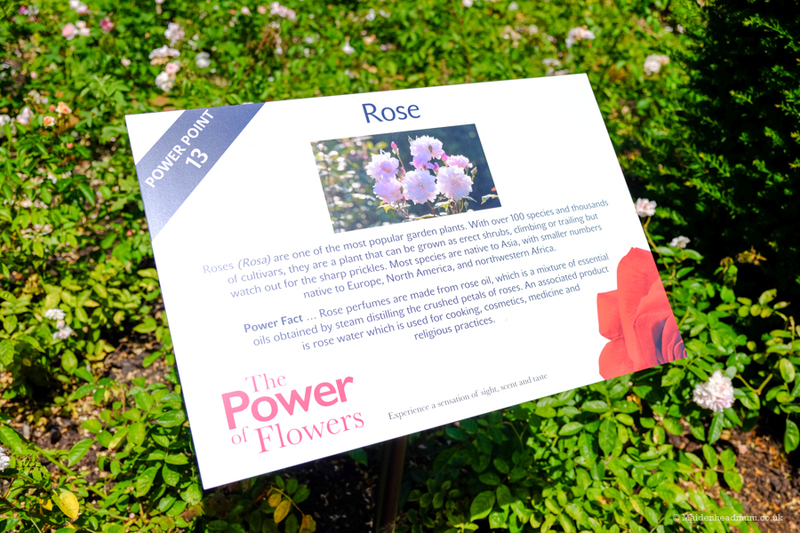 Running until the 30th Sept, children visiting the gardens can follow an activity sheet with a map to find ‘Power Points’ in the garden which teach them about the ‘Power Flowers’ that grow in the Savill Gardens and that we use in everyday life. 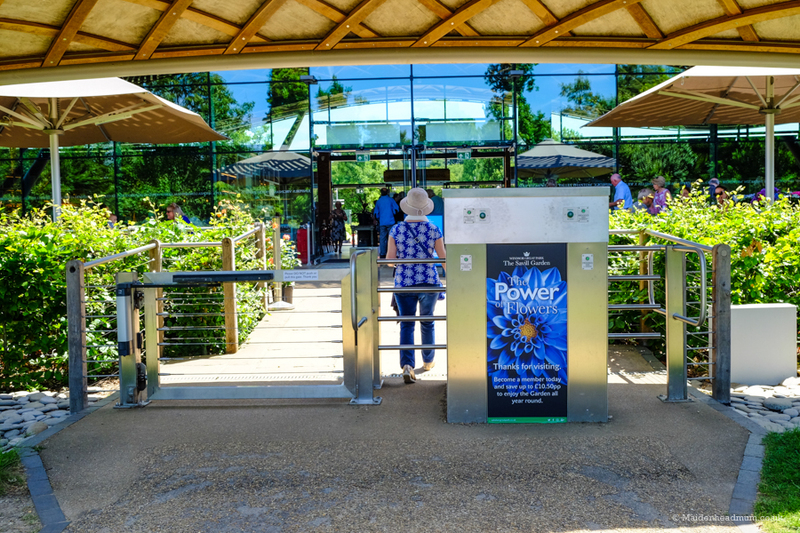 On selected days in August and September as part of the Power of Flowers, there is also a ‘Creation Station’, Face Painting and a Puppet Show, but check the website before you visit. 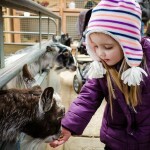 You can buy tickets to the gardens at the visitor centre and children go free. 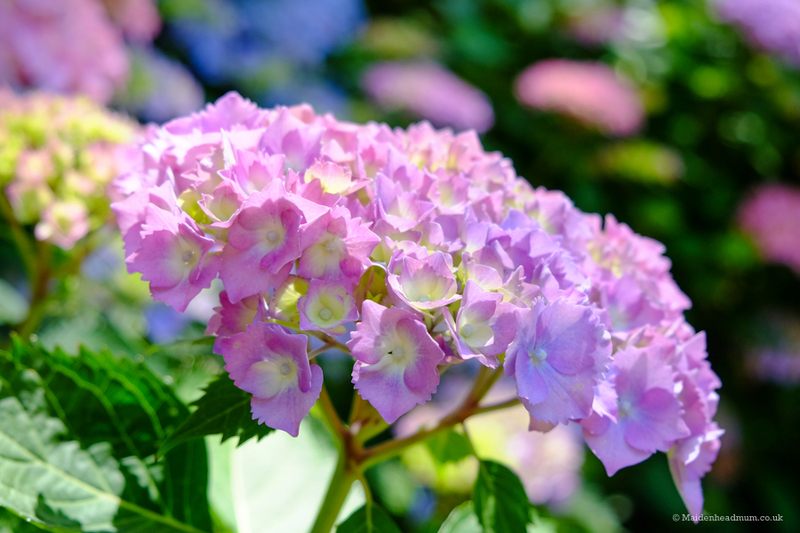 I had lots of fun photographing the flora and fauna. There were lots of bold, bright colours. 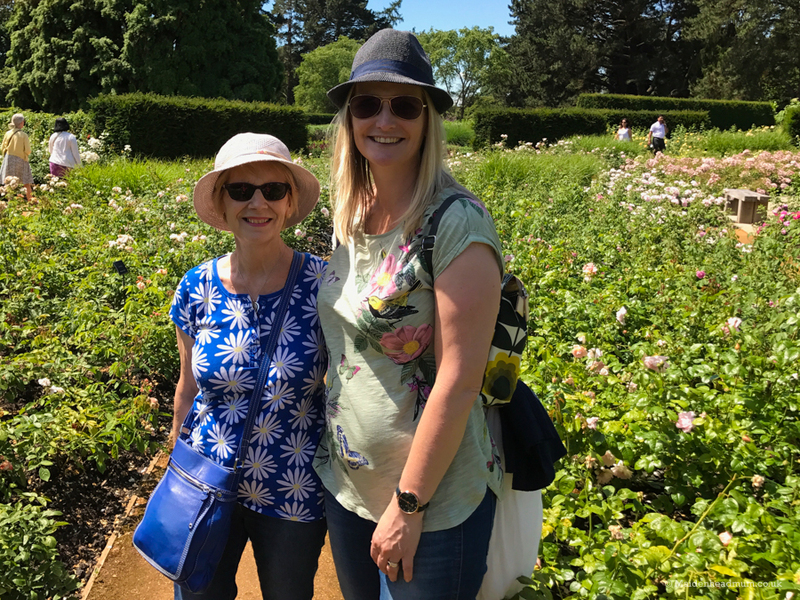 My mum and I visited on a sunny day in June and seeing as I had left both of the kids at home, we were free to explore to our heart’s content. 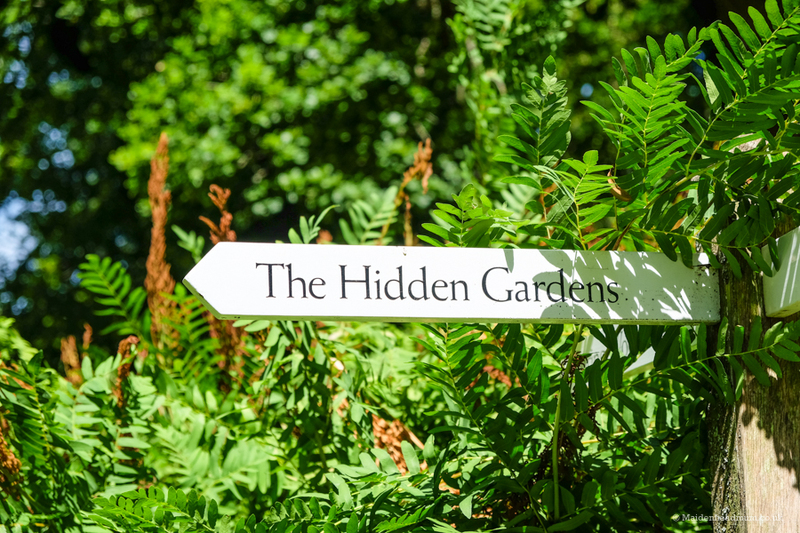 We entered the gardens through the barriers behind the Savill Garden Kitchen building and set off through The Glades and Hidden Gardens, dodging the sprinklers on the paths as we went. 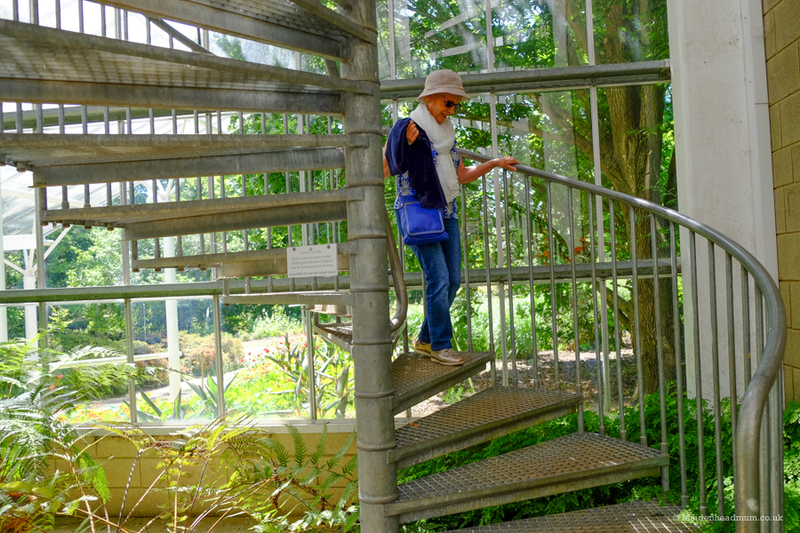 We then walked round to the Queen Elizabeth Temperate House where we climbed up the spiral staircase to the elevated walkway above the plants. 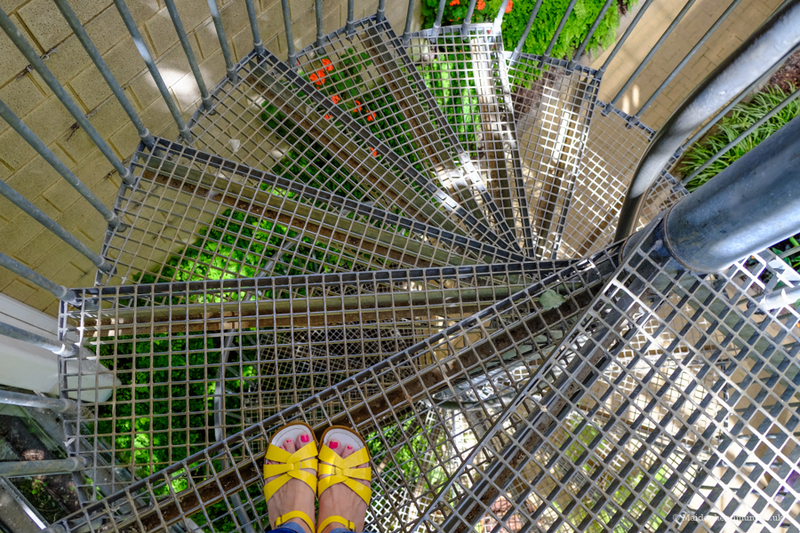 This was my mum’s idea, but she felt a little nervous looking through the mesh of the walkway down to the ground below! Climbing down from the elevated walkway. Someone had jelly legs! You can see right through the walkway, not great if you don’t like heights! Relieved to be back on terra firma! 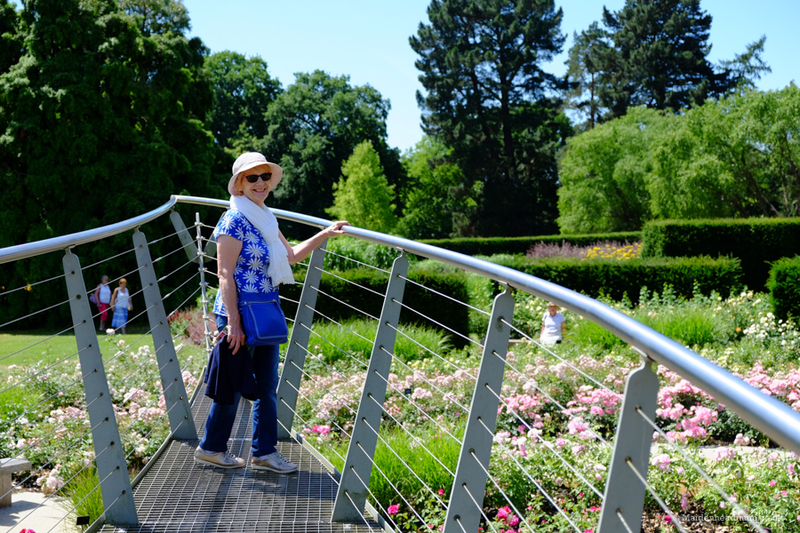 We then spent some time in the Rose Garden with its funkily designed viewing platform. 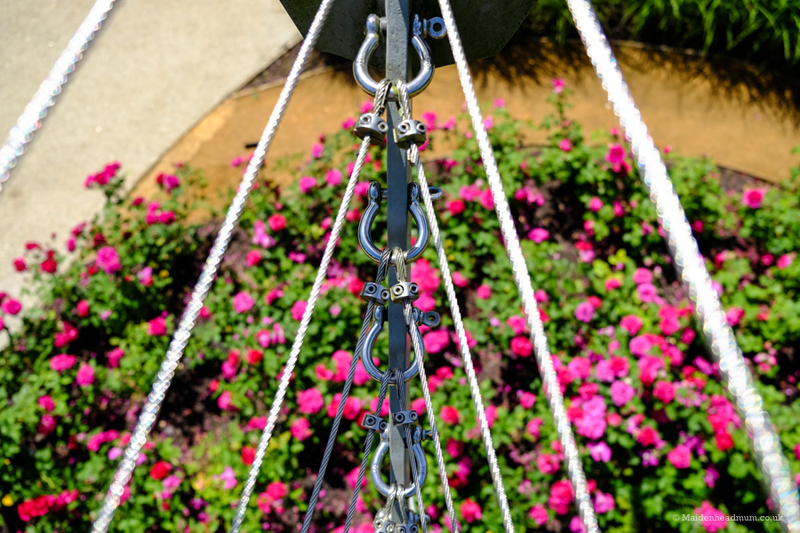 This is just like the prow of a boat, but it gives you a brilliant vantage point to admire the 25000 roses. 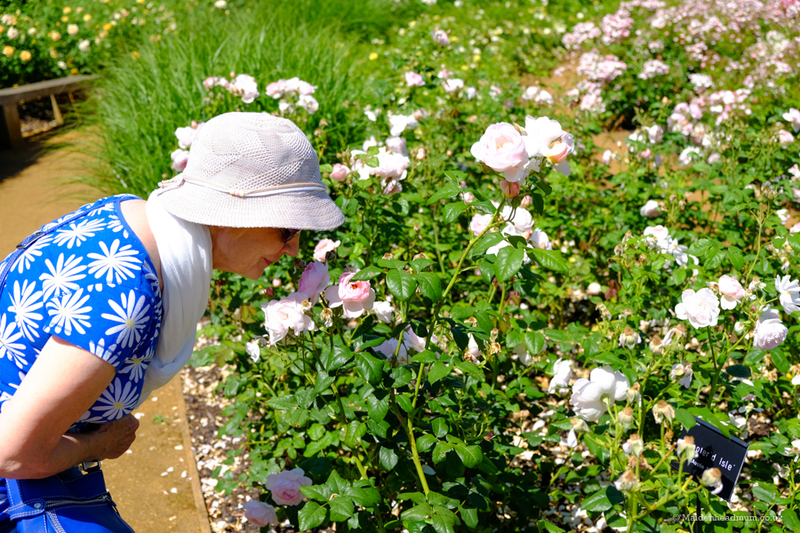 I also then became a ‘plant sniffer’ as I stopped to smell the roses. Amazing how many different varieties there were and how they all had an individual smell. We found one that smelt like pure Turkish Delight. Bliss! 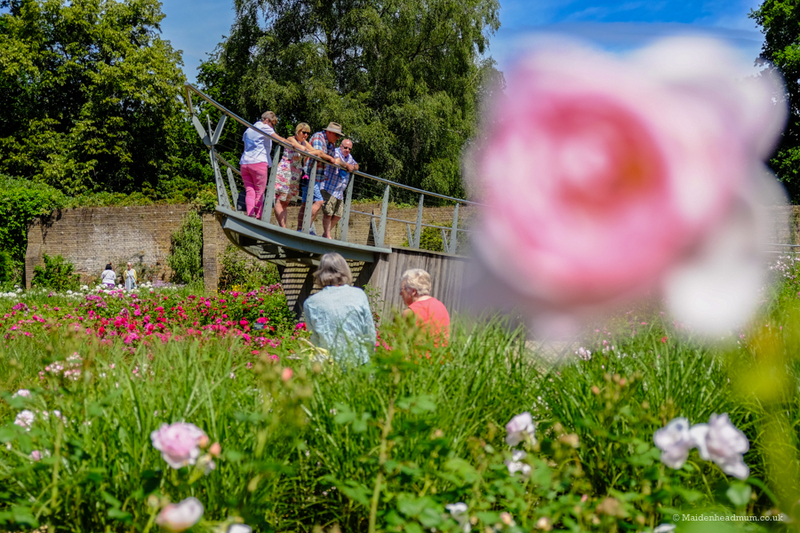 You can choose to sit on a bench or to stroll up into the viewing platform in the Rose Garden. Checking out the different rose scents. 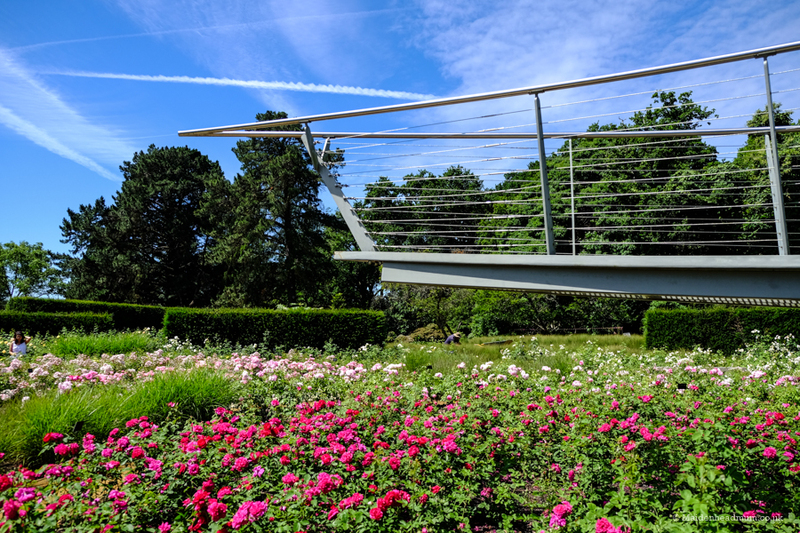 The Rose Garden viewing platform. 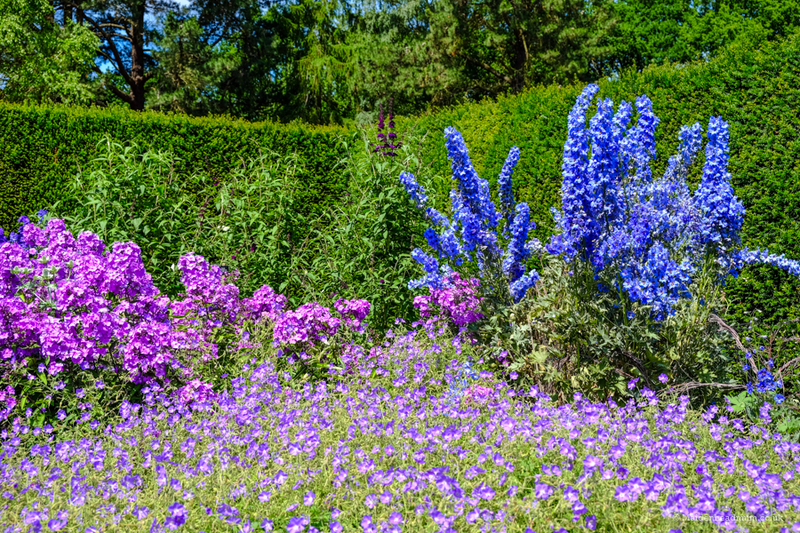 After that, we went through the Summer Gardens which were stunning in the sunshine and a photographer’s paradise for me. 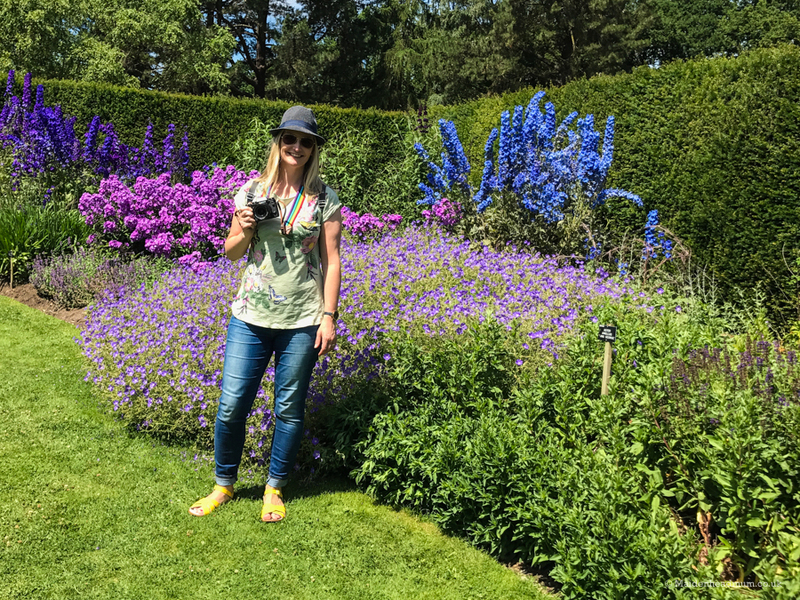 We then went up to the Spring Wood and Summer Wood and then came back down to the New Zealand Garden which has plants that were gifted to the Queen and Prince Philip. 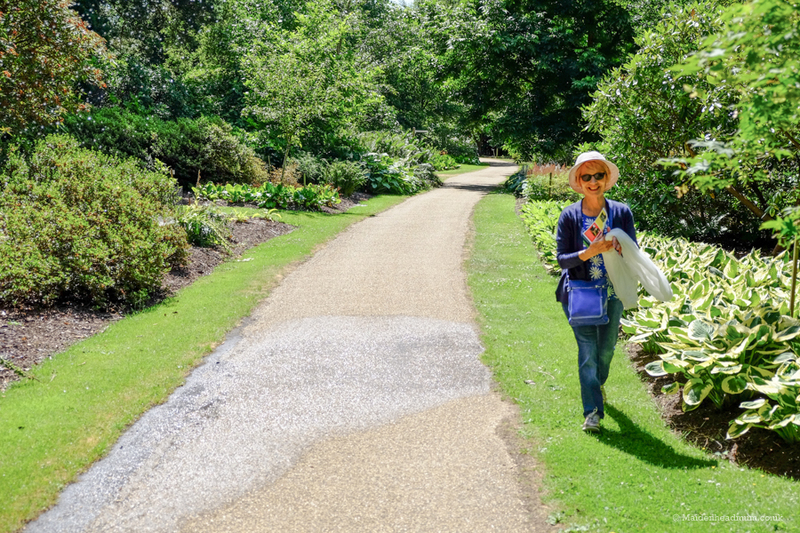 We spent around two hours walking at a leisurely pace and were able to cover most of the gardens in that time. 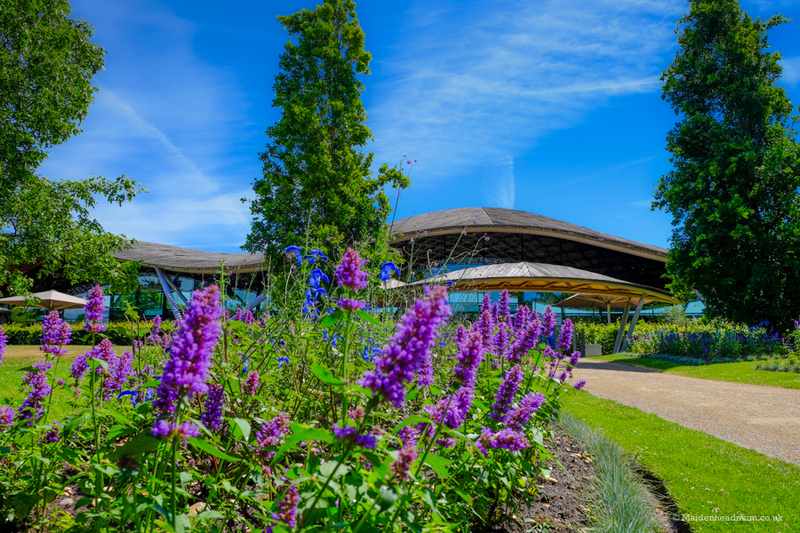 Next stop was back to the Savill Garden Kitchen for a spot of lunch. This was my favourite colour mix. Truly dazzling! Snap happy on my birthday. There is lots of choice in the restaurant. 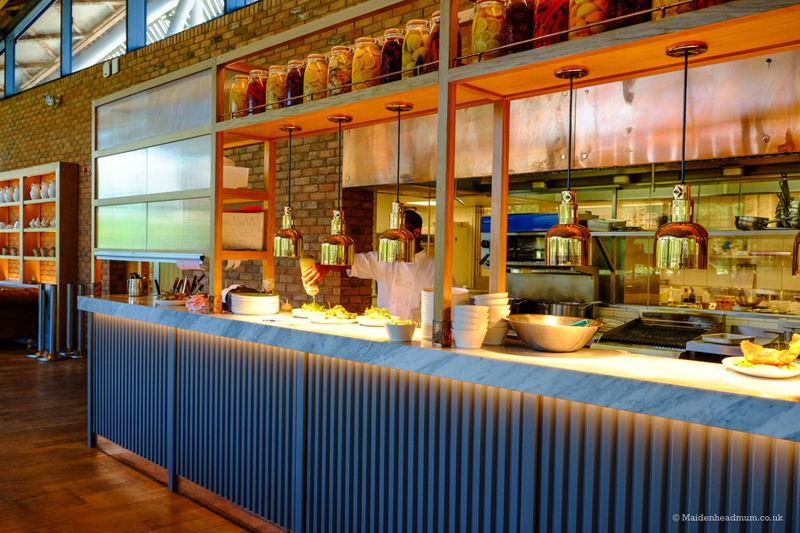 When we first visited the Savill Garden Kitchen, they had a self-serve, buffet style arrangement for food, but this has now been updated to table service which is much simpler. 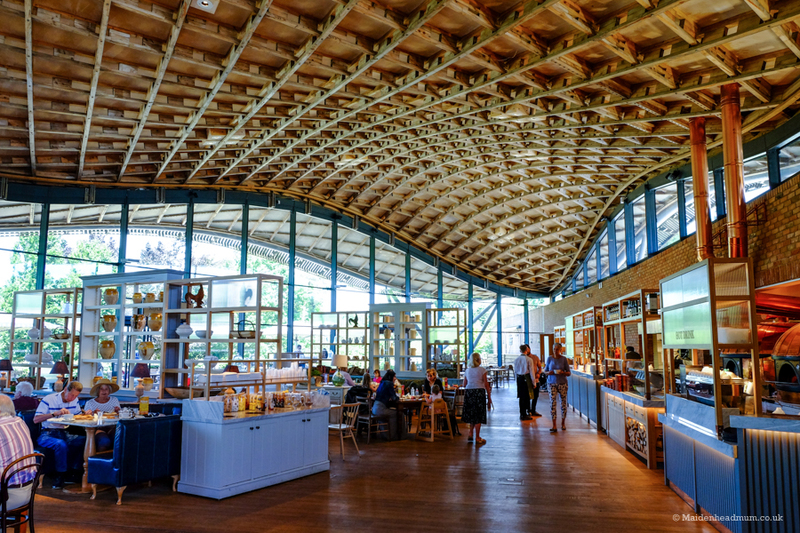 You can choose to eat inside under the magnificent wooden span roof, or you can sit outside on the terrace overlooking parts of the garden. There is a wide range of cakes, sandwiches, salads and hot meals (including wood-fired pizzas) and a varied children’s menu too. I chose the Hot Smoked Salmon Salad which was a zingy mix of beans, capers, radishes, red chard and beetroot. I found the portion size to be pretty generous so I was able to share this with my mum and squeeze a slice of carrot cake in too. Well, it was my birthday! There’s lots to appeal to people of all ages there. 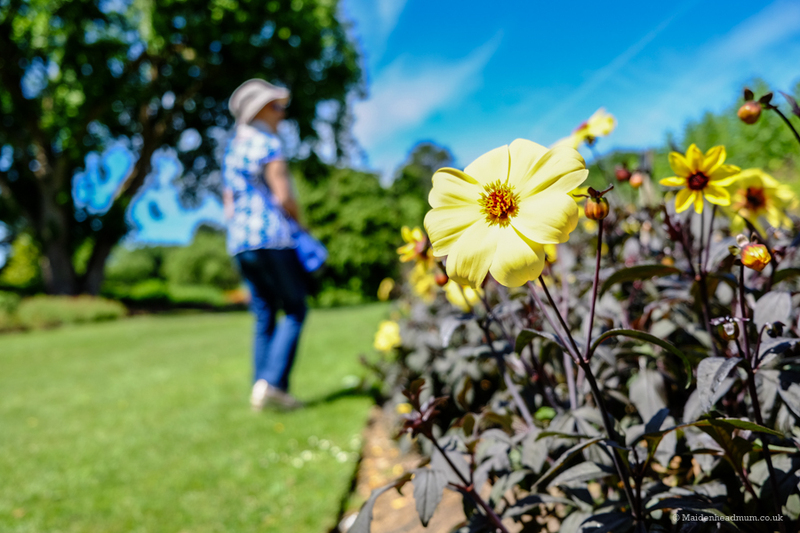 You could go with a friend and enjoy a stroll and a chat, or, seeing as children are free with a paying adult (£10.50), you could take the kids and get them to explore and find the ‘Power of Flowers’ signs dotted around the gardens. 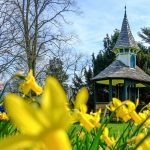 Even if you don’t pay to go into the gardens you can still spend some quality family time walking around the footpaths, feeding the ducks, visiting the playground or keeping an eye out for the beautiful horse and carriage rides that you can do around the park. They even have wheelchairs that you can borrow if you fancied taking someone that was less stable on their feet. I nearly took my 93-year-old Nan when she was with us, but the weather proved a bit chilly when she last visited us. 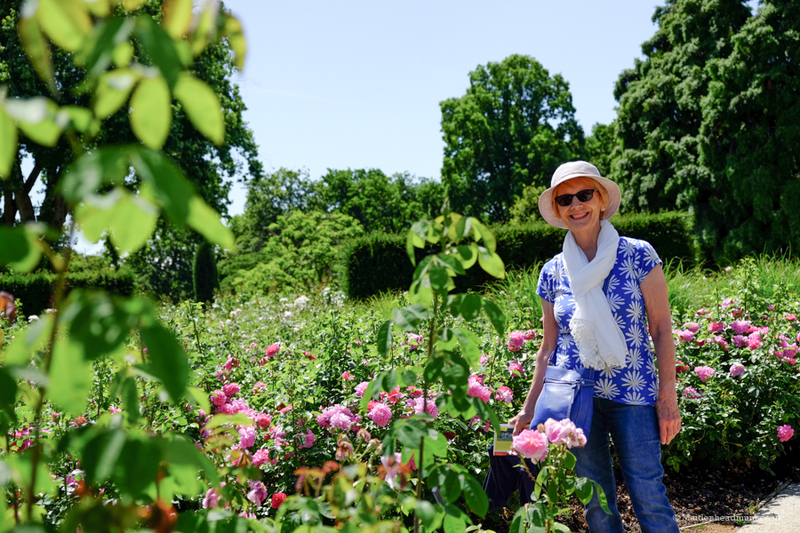 Having now seen how beautiful the gardens are, I wish that I had been a bit more adventurous with her and taken her into the gardens. 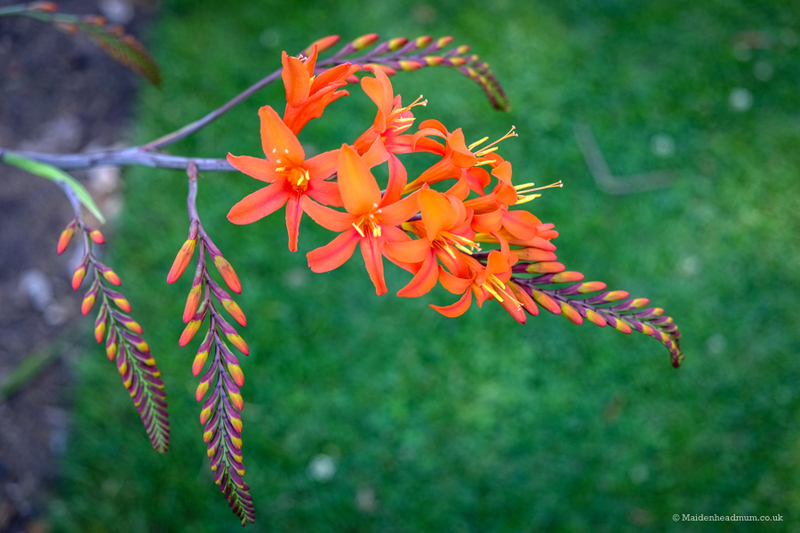 I was impressed with variety of plants and flowers on display, and I found lots to photograph which kept me busy. I was pleased to see that my mum was fascinated too. 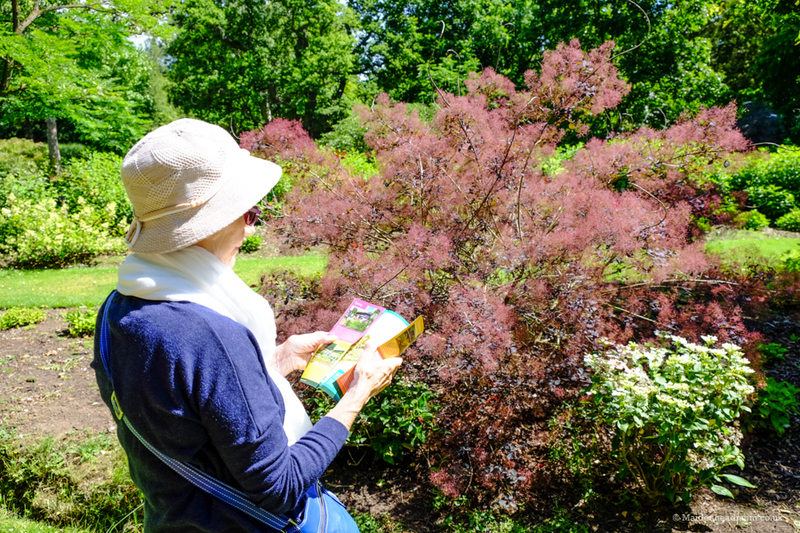 She recognised some of the plant variants but had never seen such huge versions of them ‘in the wild’. 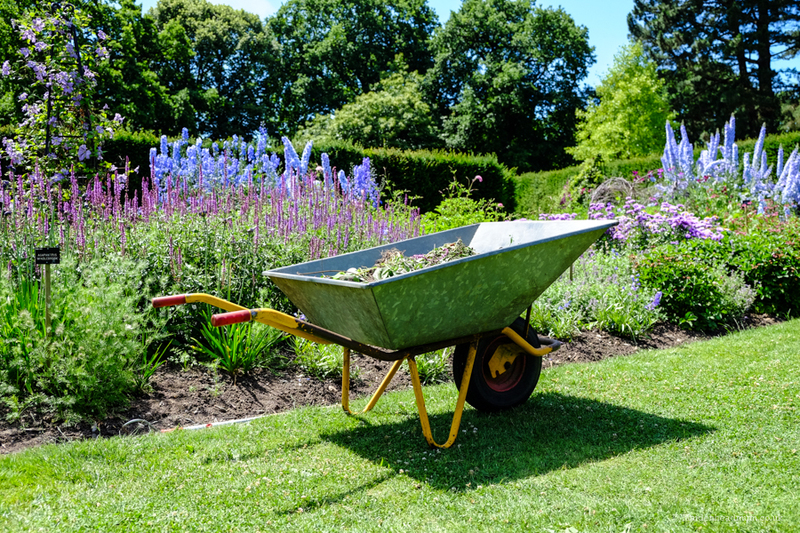 When you step into the gardens you’re transported away from everyday life so it’s a great way to get some exercise and also to take your mind off things. 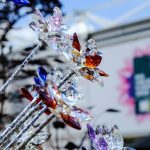 I’ve never really classed myself as being a keen gardener, although a recent trip to The Chelsea Flower Show made me realise that I love photographing some of the funkier floral colours and shapes. 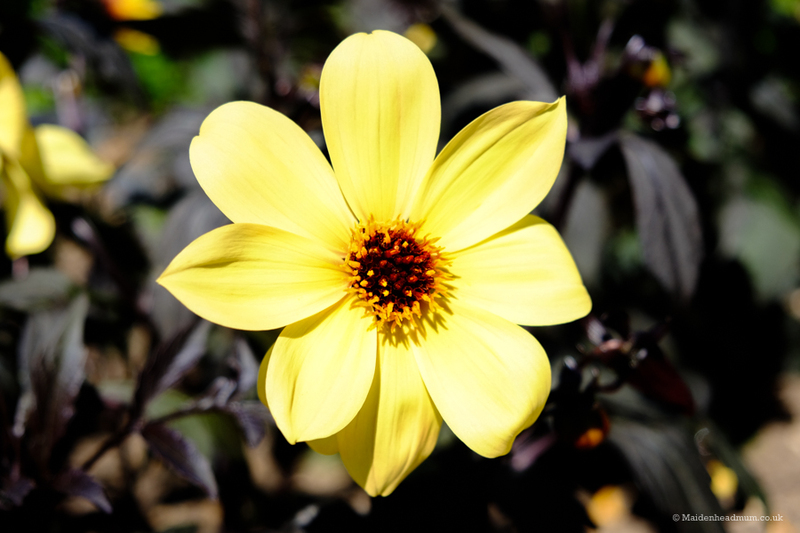 I liked the fact that the Savill Gardens are right on our doorstep yet offered me so many inspiring things to take photos of. 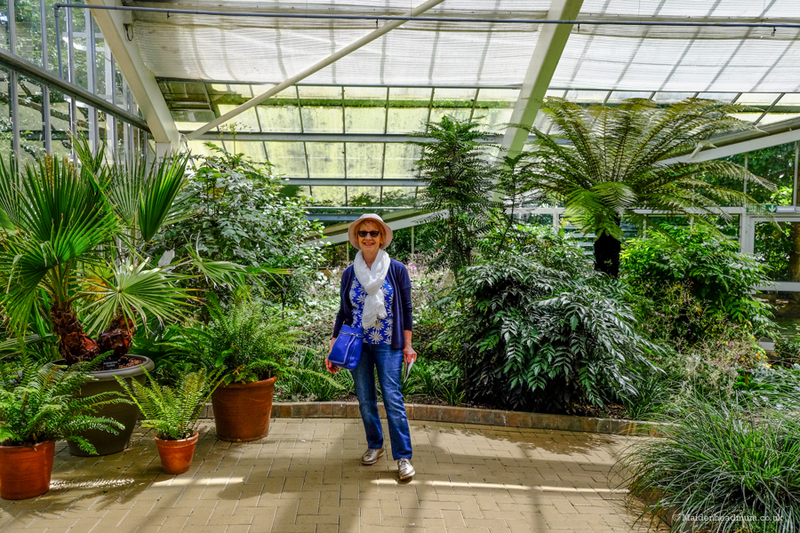 My mum enjoyed walking around and spotting the plants that she recognised. 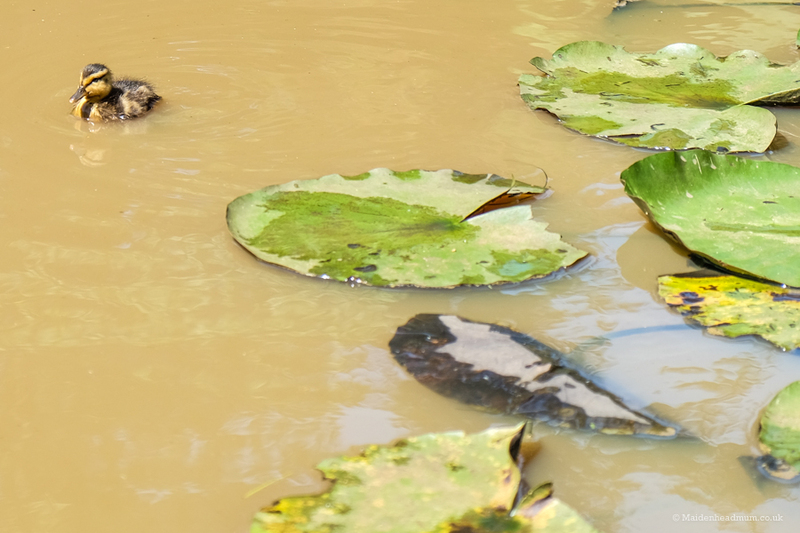 At the time, we joked how it would have been tricky with the kids as they would have wanted to explore and run-off which could be stressful with lots of water nearby, but I think you could have a good family day out there. When you consider that the kids go free, and that parking is free when you pay for entry to the gardens, it’s a reasonable day out. 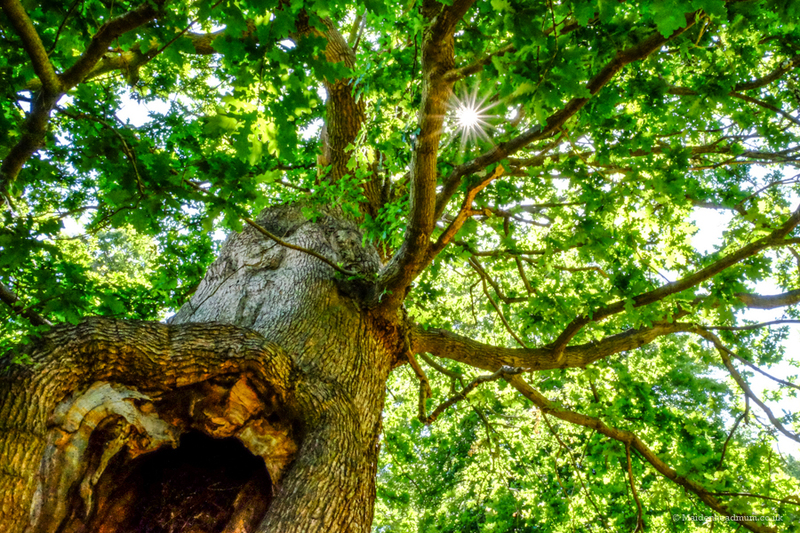 I’m looking forward to another trip in autumn when the ‘Autumn Wood’ comes alive with striking colours from the maple, oak, beech and chestnut trees. 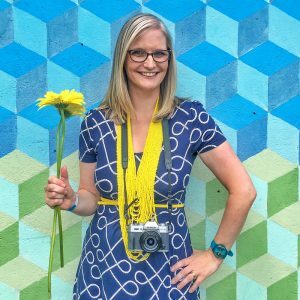 I’m already looking forward to the beautiful photographs I’m going to take! 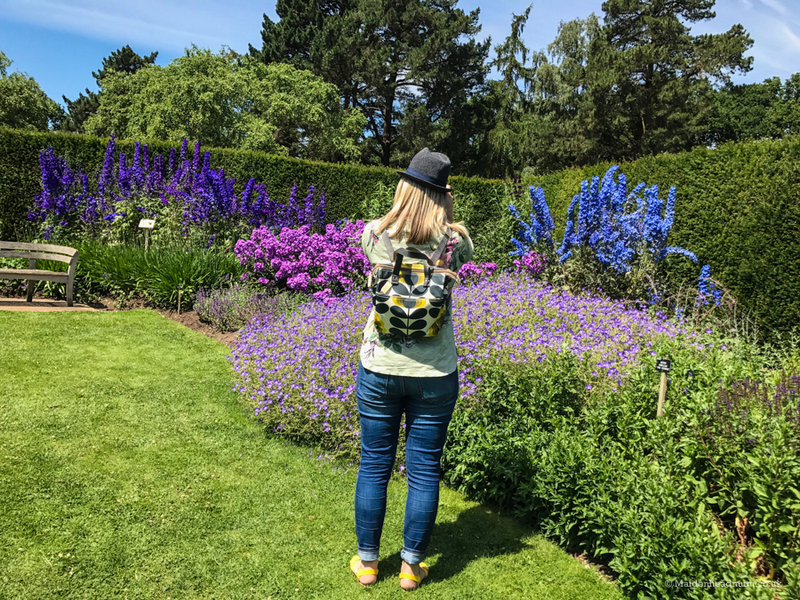 I went to the Savill Gardens as a regular paying customer but wanted to share my experiences here on the blog to encourage others to visit.